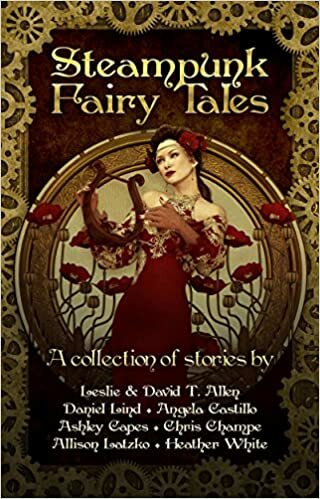 This anthology gives you a good mix of stories and styles, from a little bit of Gothic feel to a few that are more old fashioned fairy tale or adventure. While there weren't any major clunkers, not all of them particularly resonated with me, and if I do have one complaint for the anthology as a whole, I think they could've skewed the anthology a little more up beat. Not that all stories have to have happy endings, but the over all tone was perhaps a little darker and more cynical than I would've wanted ... ironically, perhaps, I think my favorite story of the lot, "Perfection," is actually one of the darkest of the lot, but it was early on and sandwiched between two more upbeat stories which were also both a lot of fun. That said, I think it would be a mistake to consider this for kids. Three of the pieces (The Clockwork People, The Mech Oni and the Three Inch Tinkerer, and Copper Eyes) have a fun, magical feel to them. Perfection and Strawberry Sins have more of a Gothic/Horror feel to them, and The Yellow Butterfly feels more literary. I wasn't quite sure how to classify the last one. I think it was going for the fun side but had a definite cynicism to it. Overall, a good sample of the various authors' styles.